Welcome to the new Oklahoma DeMolay website! The place for all things Oklahoma DeMolay. Chapter of the Year Online Reporting NOW AVAILABLE! 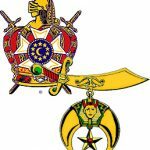 Oklahoma DeMolay’s newest chapters are on the move! Yesterday, Sir Galahad Chapter in Enid, OK hosted a fun afternoon with Siloam Chapter, Stillwater Chapter, and your ODA State Leadership Team! They played football, kickball, and ate pizza. They ended the day by welcoming in three new members! Outstanding work! 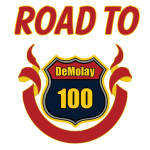 Oklahoma DeMolay is excited to announce our new membership program: Road to 100!